BRYAN EATON/Staff photo. Rescue personnel extricate a passenger in a mock drunken driving crash at Pentucket High School on Monday afternoon. 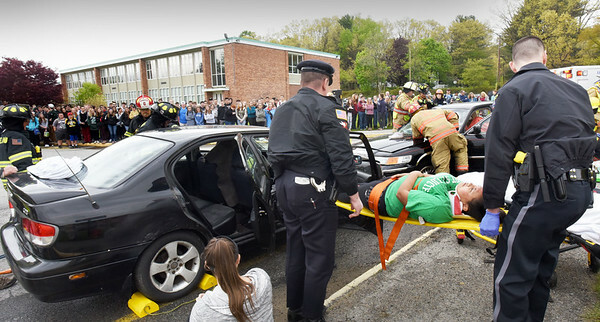 Area safety agencies, along with the school's Safety and Public Safety Academy coordinated the effort to educate students about drinking and driving as prom and graduation season is here.